From the architect. 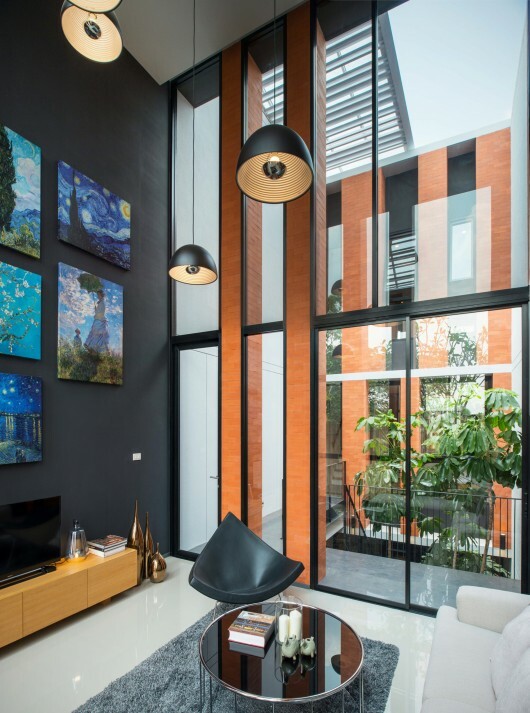 After decades of development, many townhouses, especially in Bangkok, have turned, unintentionally, to dark and air-con ventilated box-type buildings. 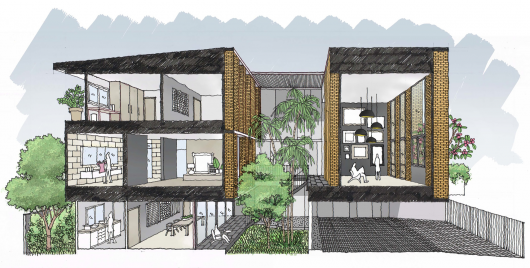 To bring back improve living quality, we create an air well and a pocket garden in the middle of each unit. 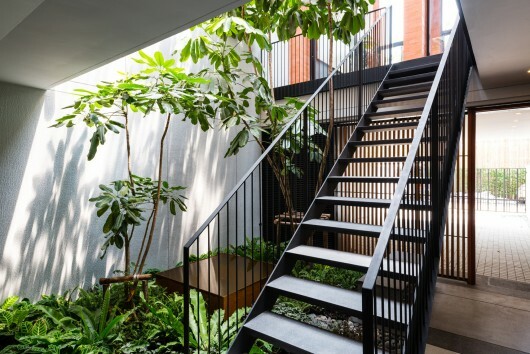 This internal courtyard provides natural light & ventilation, green and relaxing space while maintaining privacy for inhabitants. 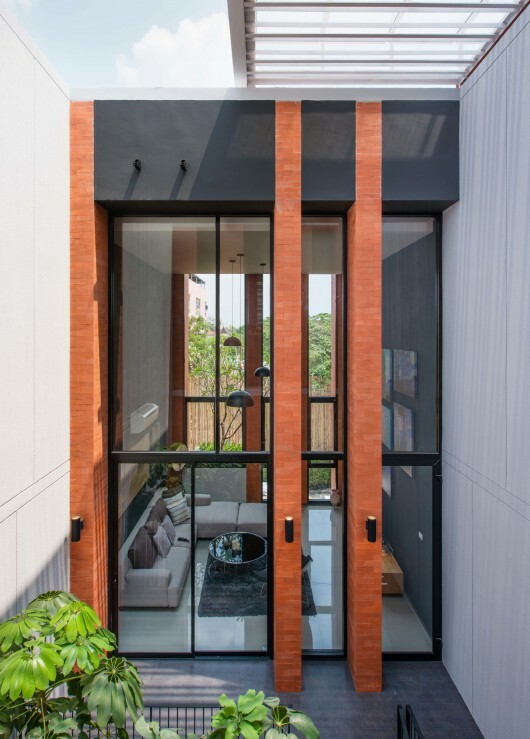 Internal balconies and key functions are placed and stacked next to the courtyard with a semi outdoor bridge linked these functions together. 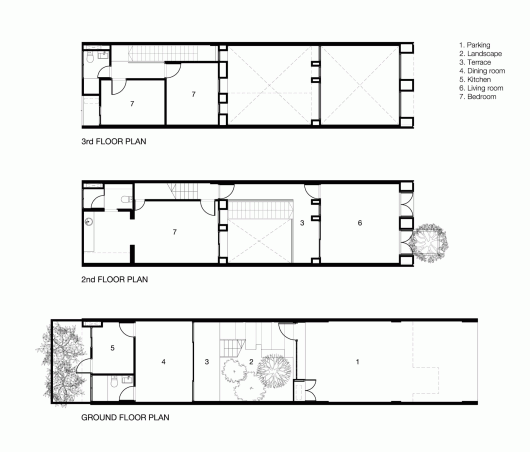 Landscape at the center is also the main focus point of the house with random brick walls behind as a backdrop. 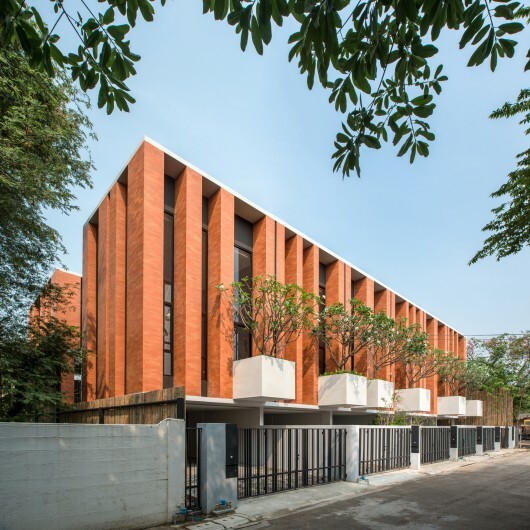 The front facade is series of random brick walls which designed as vertical fins shading double height living area from late morning glare and heat. 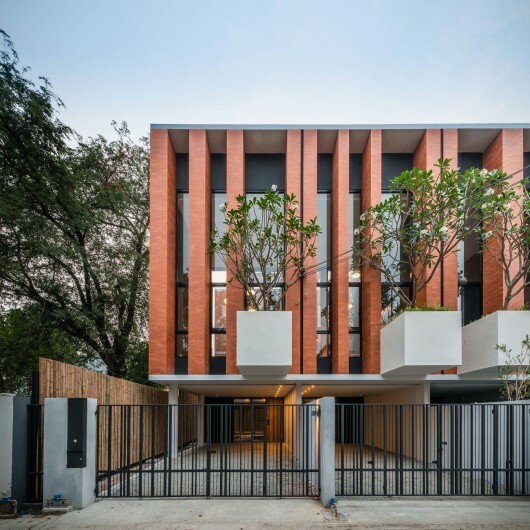 Cantilevered planter boxes protruding from the facade add a touch of nature for both neighbourhood and residences. 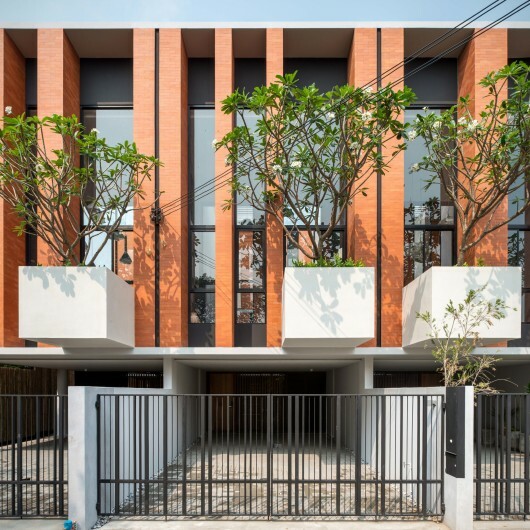 Townhouses with Private Courtyards / baan puripuri originally appeared on ArchDaily, the most visited architecture website on 05 May 2015.